The Apollo braces are constructed of a soft and comfortable foam material. 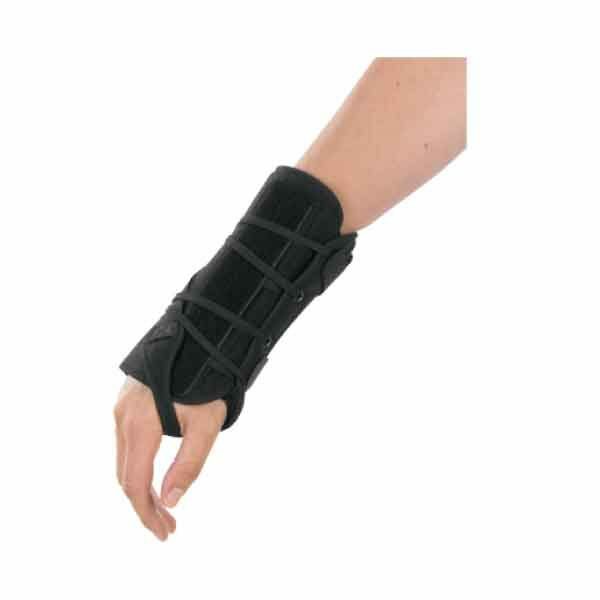 The Apollo Universal wrist brace fits the anatomies of most patients. The adjustable dual closure provides greater contour and an individual fit. The contoured palmer stay is malleable while the dorsal stay can be positioned where desirable.